As I made my way through Naperville Ribfest on Thursday with my boys, there was one booth, in particular, that caught their eye. It was because it had camoflauge on it - and my boys are a magnet to anything military-related. I had to stop over and check it out and was introduced to Gary Stephens and his wife, Theresa, owners of Sgt. Oink's BBQ Co. out of Tiffin, Ohio, where they operate a catering business. 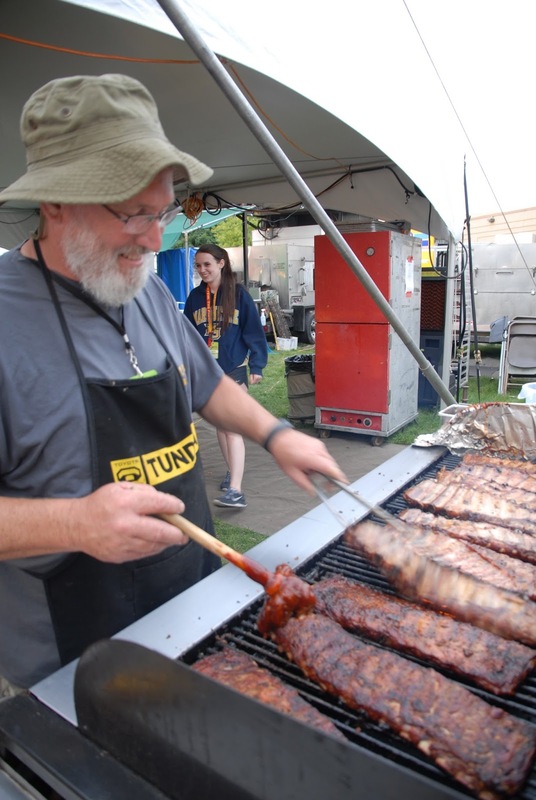 Stephens said he's been coming to the Naperville Ribfest for about 16 years serving up slow smoked barbecue favorites like ribs, pulled pork and beef brisket alongside cole slaw and baked beans. His three flavors of sauces are Dixie Sweet, Sweet Chipotle and Mild But Wild. Clayton said that they've taken 2nd place in sauce in Naperville the last two years and he was hoping to bump that up to a first place win for 2015. I did sample the ribs (awesome!) and the pulled pork (even more awesome!) Stephens said that the pulled pork gets served plain with no sauce cooked in with it. It was so tender and full of flavor on its own it could easily be eaten without sauce. However, I also tried it with a bit of the Dixie Sweet sauce and loved it. I'm more of a sweet sauce fan than a hot or smokey fan. The sweet sauce was mild, yet packed with flavor. And ya know, I neglected to question Stephens on the "Sgt." 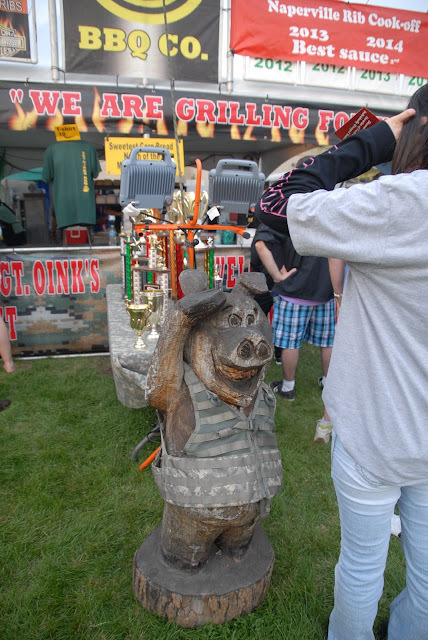 part of the name, but I take it he's a veteran, hence the military logos and camo and saluting pig statue wearing a military vest. 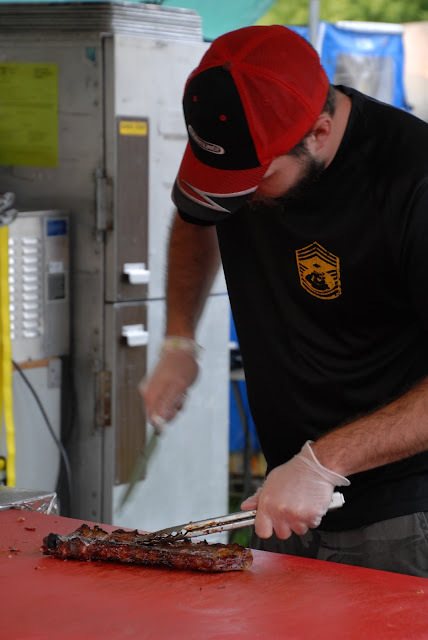 Really...what better way to spend 4th of July weekend than by getting your fill of barbecue cooked up my a military veteran. That's 'Merica for ya! Happy 4th! 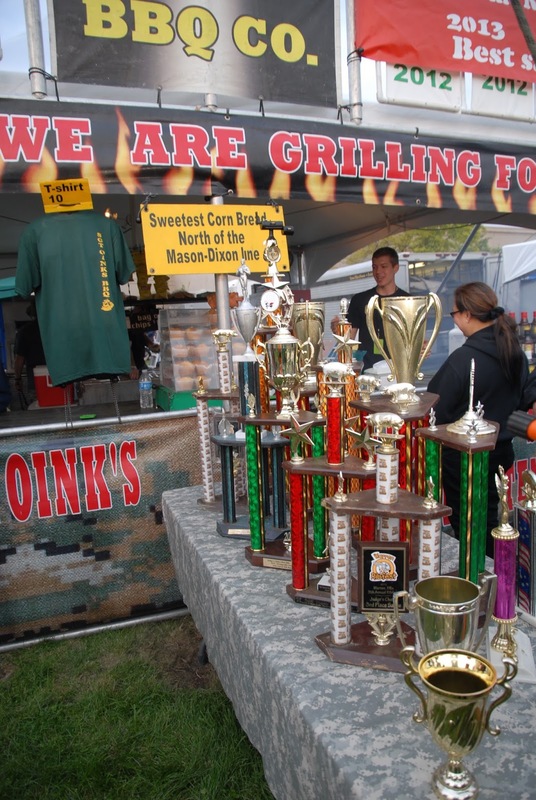 Sunday is the final day of the Naperville Ribfest, so get over there and try out some barbecue while you still can!